Helping those in need has always been a passion of mine, kind of selfishly because I enjoy the experience and how it makes me feel to serve others. Thanks to WestCMR I was able to use a Volunteer Day off to support a foundation that helps families nationwide. 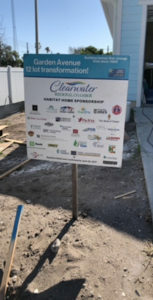 I participated in a Habitat for Humanity – Pinellas build with local women that are part of the Clearwater Regional Chamber of Commerce’s AchieveHERs group. During the build, myself and two other ladies were assigned to installing baseboards. Boy, I had no clue how much time and effort went into what sounded like a small job; Measuring, Cutting, Angling, Sanding, Nailing, caulking and of course the clean-up. Being in a group of strong women and working for a great cause was extremely rewarding and something I look forward to doing in the future. 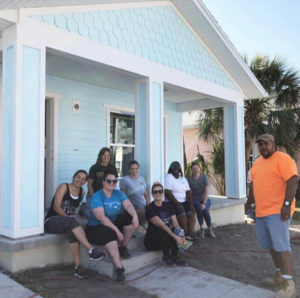 If you’re looking for a local organization and cause to support, I strongly recommend looking into Habitat for Humanity – Pinellas or whatever Habitat is in your community.